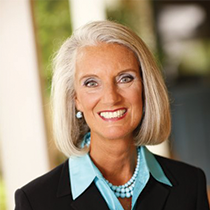 Join Anne Graham Lotz in a biblical prayer and worship God as Elohim: The Strong One. This is not just a distress call for prayer. This is a distress call to Him! We worship You, great God of Creation, as Elohim, the Strong One. You were in the beginning. You will be at The End. You always have been and You always will be. You are the Creator who brings forth something out of nothing, who formed man from dust, who turns darkness into light, who makes the world turn, who sustains all things by Your powerful word. You are the Rock on which we stand! As we plunge into spiritual and moral darkness, You are our Light. As political, social, racial, financial, and environmental storms break out all around us, You are our Anchor. As we face terrorism’s threat and vows of annihilation from our enemies, You are our Shield. When there are wars and rumors of wars—when nations rise against nations and there is rioting in our streets, You are our Peace. In our weakness, You are our Strength. As we grieve over lost freedoms and lost futures and lost values and lost loved ones, You are our Comfort. In our despair over our lack of moral leadership, You are our Hope. In our confusion when truth is spun and exchanged for a lie, You are our Wisdom. In these days of desperation and confusion, we look to You, and You alone. This is not just a distress call for prayer. This is a distress call to You! For one hour each day for the next nine days we choose to turn away from everything else and seek Your face. We turn to You—run to You—cling to You—hide in You. …We come to You in the name of the Creator who became our Savior and who has ascended into Heaven to sit at Your right hand, with all authority placed under His feet. …We come to You humbly, yet boldly, because we have been invited to come. …We come to You with confidence because the way has been opened for us by the blood of Your Son who sits at Your right hand, who is in authority over all. …We come to You with a sincere heart in full assurance of faith that You will receive us, You will listen to us, and You will answer us. Hear our prayers as we come to You in the name of Jesus.